If you’re one of those thrifty homeowners who wants to save money when buying furniture for their homes, you‘ll be happy to know that it is possible for you to cut down on your spending (not on trees though ) by building your own flat pack bed. Choosing the flat pack route will save you money. But there is still a lot to choose from. You need to pick the wood, the colour and whether it has a bed stead, headboard and draws. You can make one out of pine, cherry wood, mahogany, oak, maple or beech. There are quite a few more that you can choose from. Pine will ensure that you have durability in your bed for many, many years of use. Making a bed out of plywood may be cheap but you won’t be assured of durability over time. You’ll end up buying another in the next few years which defeats the primary purpose which is to save money. It’s better to use real would like pine wood for your bed. You can ensure that you’ll have a durable and comfortable bed for many, many years to come. There are pinewood beds that are reasonably priced which you can apply some lacquer on to make it look like one of those expensive oak beds. If you’ve decided on flat pack furniture the next choice is what colour. It’s very easy to choose the colour for wooden beds because there are many shades due to the various types of wood. Choose the right kind of wood for your bed frame, footboard and drawers. If you want a white solid one, you can choose pine wood. But if you’re just concerned about colour, you can opt to have any wood you choose painted to your ideal colour. Oak and Mahogany are examples that you can paint perfectly white. There are complementary white coloured beds and accessories that will help you match the colours in your room. Night stands, footboards, canopies and drapes are some that you can carefully choose colours to complement the walls in the room. 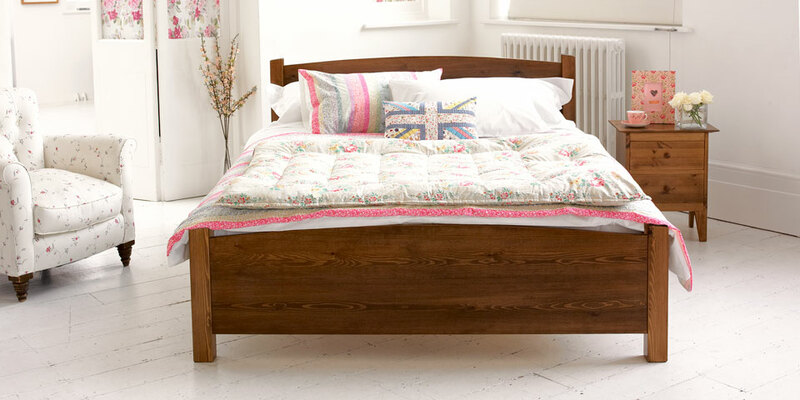 If you go for a sleigh bed for example you’ll get other benefits. This type of bed doesn’t require box springs to prevent it from sagging like a divan. This entry was posted in Bedroom Furniture and tagged Wooden Beds. Bookmark the permalink.